This energetic transmission, with its coded activation will carry on working with you long after you initially receive it. You will be guided by your own inner wisdom to have the experience you require - to see, sense and know what you need to do and importantly, how to do it. A bridge is being built; helping to harness the power of the new world within You and your life. It is a requirement for the ascension process - to release the karmic bonds which otherwise keep you enmeshed in the old paradigm. Are you ready to release yourself, and find a new way of Being? Will you say Yes to the activation and begin the reprogramming of the 12 strands of your DNA - today? A great opportunity to make an important shift is offered. 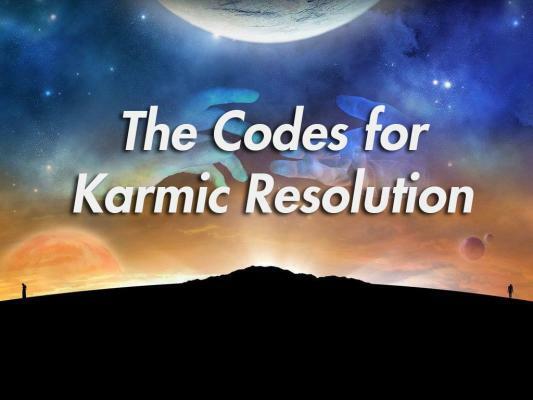 If you wish to, then you can take your place here and now - as this is the moment to receive The Codes for Karmic Resolution.